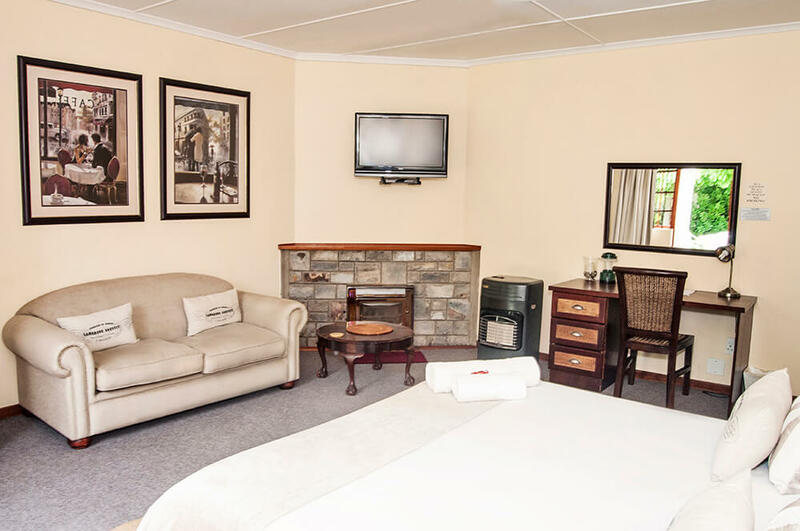 The Colonel Graham Guest House comprises four separate buildings all situated on the same complex. There are nineteen rooms in total offering either Bed and Breakfast or Self Catering options. Ideal for either individual or group bookings. Secure off-street Parking -all units. Developed in 2016, this double storey house offers 8 spacious, superior double rooms and communal lounge downstairs. Each room has a King-size bed (twin by arrangement) and small lounge with recliners, coffee table and a bar fridge. All bathrooms include modern finishes with a bath and shower. Each room is individually alarmed by remote. Breakfast is offered in the Lansdowne House dining area. This house has 6 self contained units offering a choice of Bed & Breakfast or self catering. All units have either Queen size or twin beds and fully tiled bathrooms. The kitchenettes include a microwave oven, fridge, toaster, electric frying pan, kettle, crockery and cutlery. All Units have private outside entrances as well as secure off-street parking. Each Unit has its own security alarm. Ideal as a family unit (sleeps 4) with main bedroom, inter-leading living room and covered veranda leading to a private garden. The bedroom has a Queen size bed whilst the lounge offers a comfortable double sleeper couch. The kitchenette facilities include microwave, fridge, frying pan, kettle, crockery and cutlery. The bathroom is fully tiled with shower. Covered veranda leading onto private garden. Secure, under-cover parking, private entrance and security alarm. 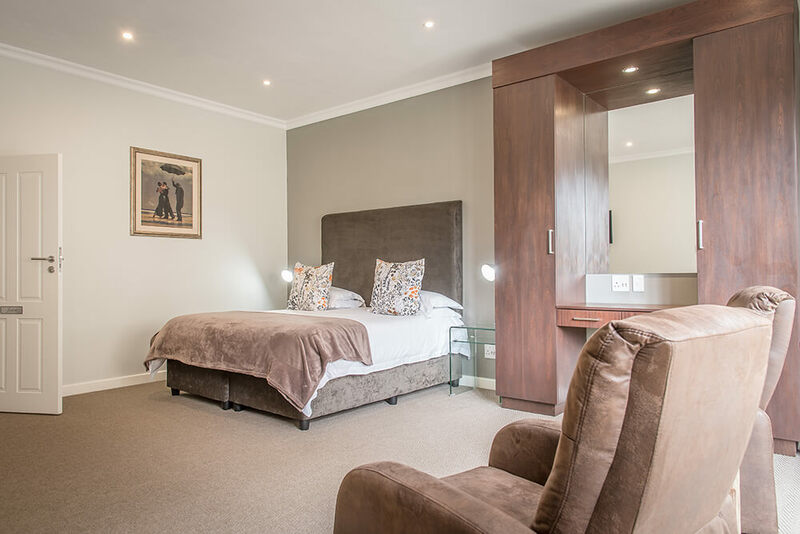 This house offers 2 King size or Twin en-suite rooms and 2 double en-suite rooms. Separate lounge with flat screen, private dining area and private garden as well as undercover veranda with Braai / barbeque area. Fully equipped with a kitchen and open plan living area. These rooms can be reserved separately on a Bed and Breakfast basis or the whole house can be booked with self-catering as an option. Ideal for group bookings of 6-8 people. All rooms have private outside entrances and individual security alarms.